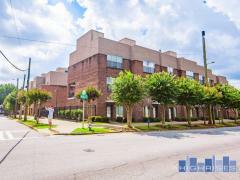 Block Lofts are located in the hip area of Poncey-Highland within walking distance to shops and restaurants and convenient to many other in town Atlanta neighborhoods. This affordable building also has one and two level units along with a swimming pool and fitness center. Hop on the Beltline to reach a plethora of restaurants, bars, shops and coffee houses. For times requiring a vehicle, rest assure there is ample parking in this fun, gated community. Have any comments or questions about Block Lofts? Ask your question and/or share your thoughts about this Building.